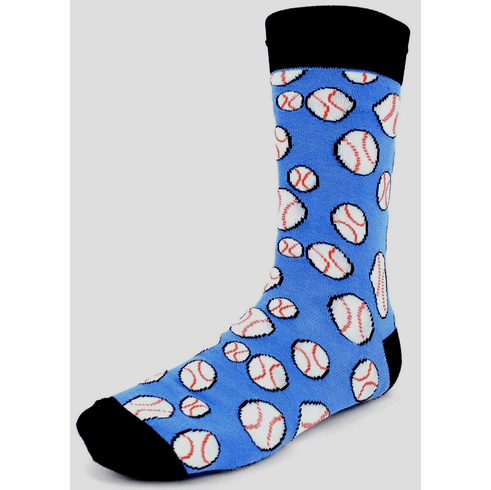 Men's Blue Baseball Dress Socks. Off the field, you'll want these baseball dress socks on your feet all of the time. ~ Baseball Novelty Dress Socks. ~ 70% cotton, 25% polyester 5% spandex. ~ One size fits 10-13. ~ Machine wash, tumble dry low. Perfect to be used as baseball wedding socks for the groom, groomsmen, and best man!